My parents’ pup turned two this year – and she didn’t have a quilt of her own. I know!! 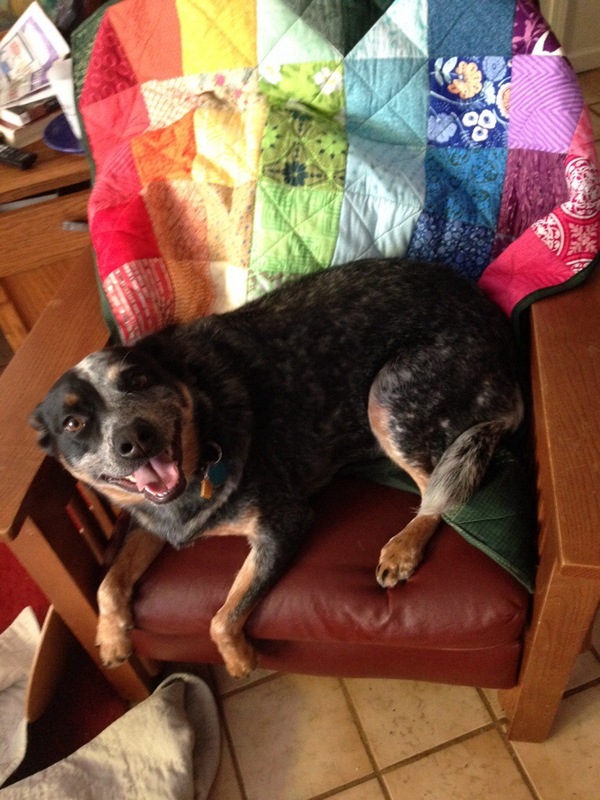 She is a working dog – going to and fro HMS Beagle everyday, so a quilt for her spot is a good thing. I wanted to make her a heart because i loooooooves her. 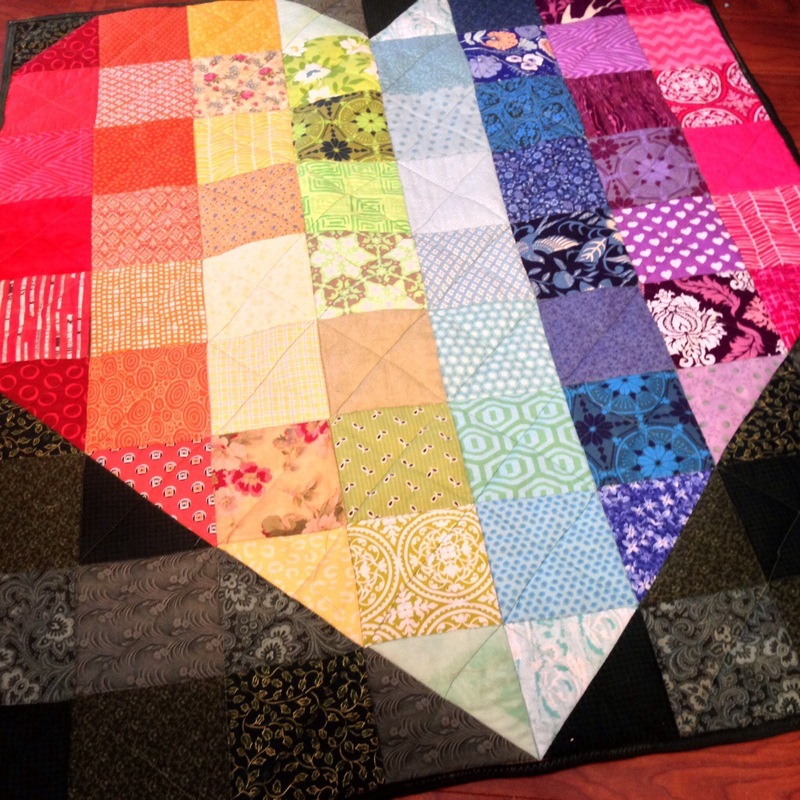 And I loved every minute of making it because I love the rainbow color scheme – definitely causes happiness. 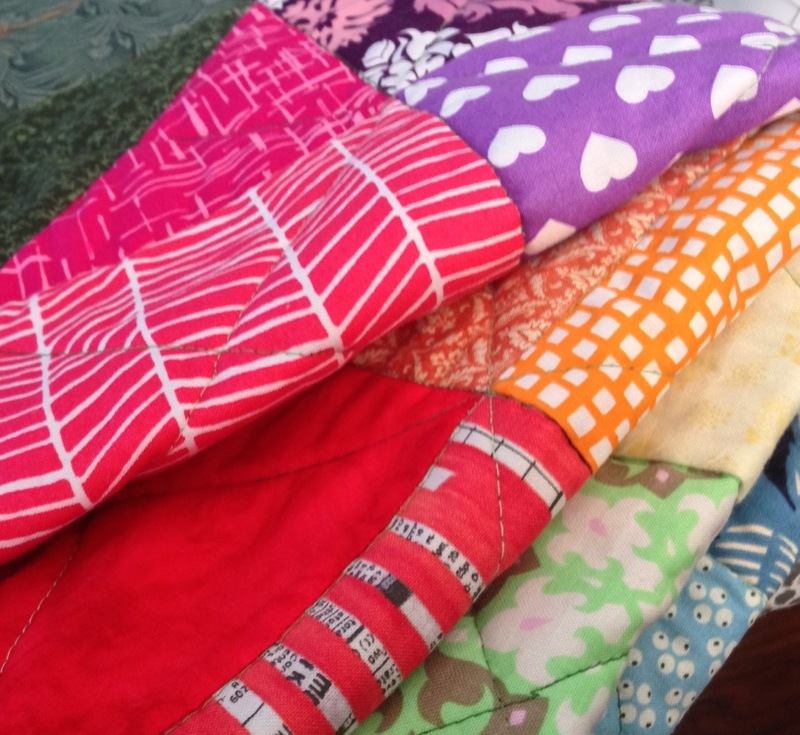 I quilted in the ditch and diagonal both directions and machine bound it so it would be tough for a little puppy girl. lucky pup! Love the rainbow palette!